The Free Contact Us Slide for Business Presentation is the need of every organizational meetings. With these slides, company representatives can display different channels through which customers can contact like phone, website and social media. The slide to be used after presenting endnotes and before Q/A session to conclude the topic. This helps make the viewers aware of company brand, vision and competition. 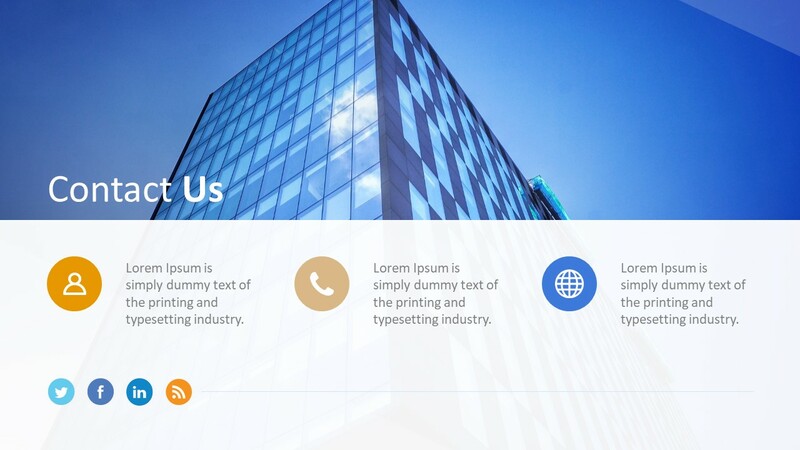 The Free Contact Us Slide for Business Presentation is a clean design PowerPoint for corporate contact information and to acknowledge the presence of audience. These pre-designed template slides can be added to any PowerPoint to build an effective presentation. 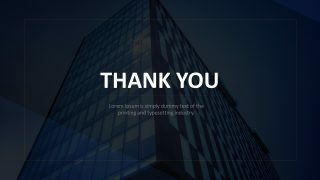 The first slide has a skyscraper architecture image giving it a corporate feel. The main contact options are displayed in 3 sections at the bottom, email address, phone number and website. These options are symbolized by editable (colors/size) infographic icons which can be customized to fit any presentation theme or layout. Below this section is the option to get in touch with company via its social media. 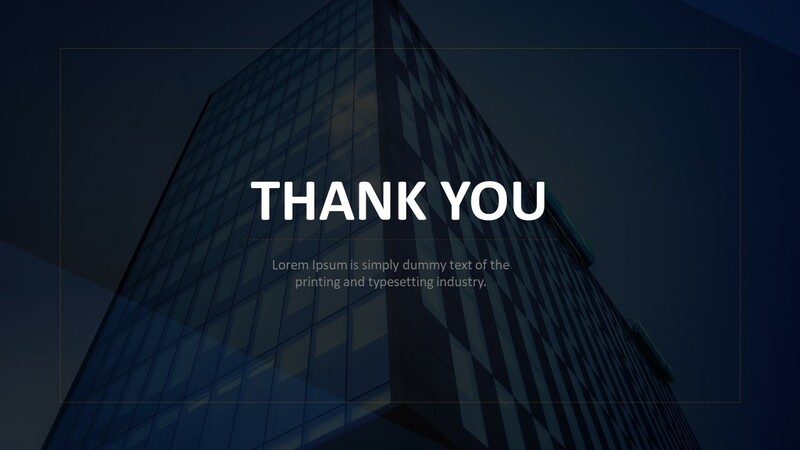 A free thank you PowerPoint slide is a creative background with an appealing text font. The users can change color, font and other aspects of the given slide or add important notes such as acknowledgement and credits. This presentation is ideal for people from sales and marketing industry who promote products and services in such a way that people want to get in contact with company. To build a strong relationship, customers are encouraged to provide feedback. The companies need to make it possible for customers to find their contact information easily. 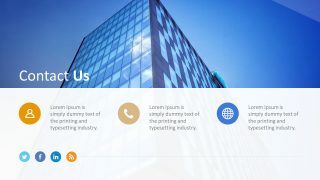 This PowerPoint presentation deck comes handy in situations where customer has an option to choose from different mediums for connecting company.